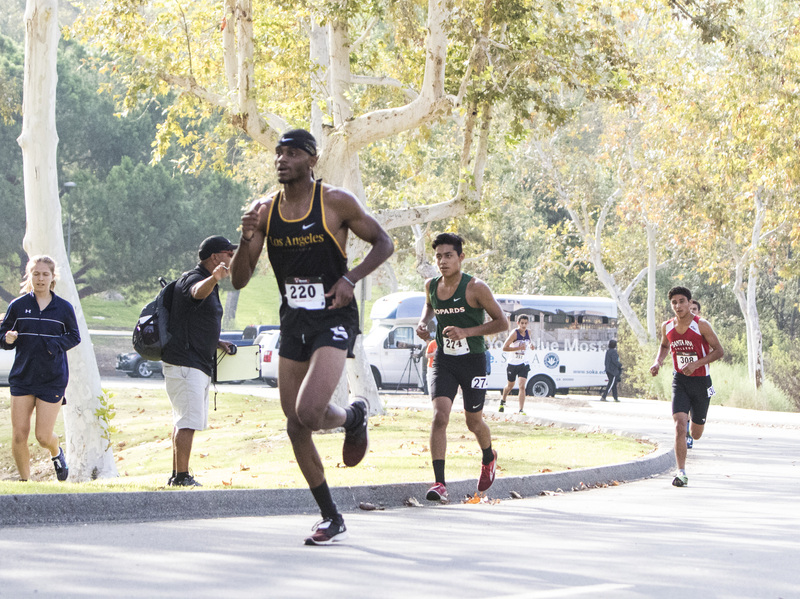 Two freshmen runners led the Santa Ana College Men’s team to an eighth-place finish at the Biola Cross Country Invitational Saturday Sept. 9 at Ted Craig Park in Fullerton. SAC’s cross country teams, consisting of all freshmen, debuted at the invitational, racing alongside nationally-ranked colleges and universities. Jesus Fuentes-Fernandez placed 30th out of 130 runners from 10 colleges. Fuentes-Fernandez said he kept reminding himself to not be intimidated at the starting line, finished the 8,000-meter race in 27:19. One place behind Fuentes-Fernandez was Daniel Gonzalez who came in 31st with a time of 27:20. The Dons women’s team didn’t fare as well as the men but turned in a gutsy effort through the 5,000-meter race, but finished in last place. Monique Azpeitia, the first of SAC runner to finish, placed 57th out of 155 runners in 21:49. It was an eye opener to compete at such a high level, Azpeitia said. “They are a young team with a lot of room for improvement,” Dons Head Cross Country Coach Miriam Mitzel said.